Mid Florida Investment Properties, LLC (MFIP) owner Mike Calvert has been buying and selling real estate in Central Florida for over 18 years. Our team of professionals consists of experienced real estate investors who have purchased, rehabbed and successfully sold hundreds of investment properties. We strongly believe that experience is crucial when buying real estate from a wholesale company such as ours. We believe that flipping homes should not only be profitable it should be fun as well. Our team of professionals is available to you through the whole process. Our company was founded on the success of our buyers and repeat business is what we strive for. Repeat buyers come back to us because we facilitate our buyers through the whole flipping process. Supply – We have an inventory of homes brokered through Sand Dollar Realty Group at 40%-60% off the current market value. Lenders – We have hard money lenders who loan on distressed properties. 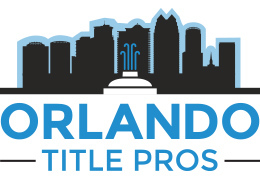 Closing – Our team of professional arrange all the closing details through a local title company. Game plan – We offer free rehab consulting and access to our contractors. Marketing – Our team has the experience and web presence to help you get your home sold. We are Central Florida’s only true one stop shop. MFIP is not a real estate broker. 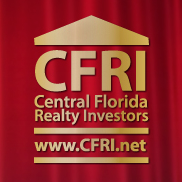 All properties owned by MFIP and properties owned by other investors are brokered through Sand Dollar Realty Group, Inc. We are current business members with CFRI and IRC real estate groups.